Lincolnshire Wildlife Park offers sanctuary to any animal or bird in need, whether that be retirement from show-business like our Emu & Puma, over-crowding or closure of other sanctuaries or zoo environments or unexpected births; we pride ourselves on rarely refusing them. 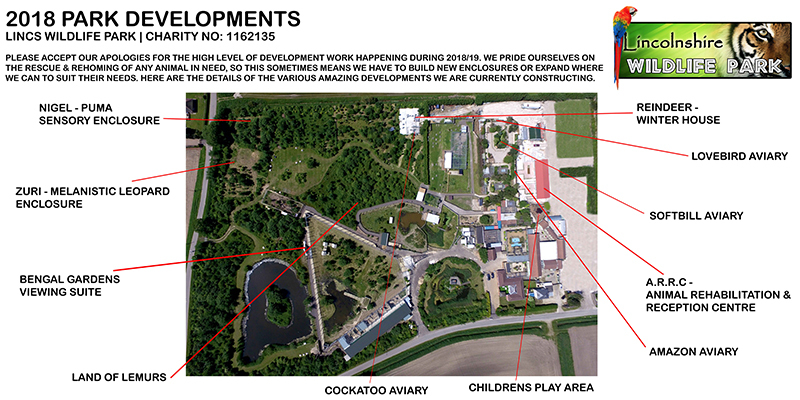 This sometimes means that we have to build temporary enclosures or move some of our current residents; either way we endeavour to make all of our animals as comfortable as possible, offering the most natural environment and diet available to us. We also know how important it is to you, as our visitors, to have something exciting to look forward to when planning your day out. We have many regular visitors who come to keep in touch with their Parrots, as well as those who live nearby and just love to come and see what’s changed. Season Tickets are available so that people can stay on-top of our ever-changing park. One of the most important aspects of our park and our starting point as The National Parrot Sanctuary, are the birds we re-home. We keep to a strict quarantine procedure when taking on new birds to maintain our high level of comfort and care for our new and existing birds. The new Parrot Reception Centre will provide Quarantine control rooms, Hospital treatment centre and educational & observation stations within it. 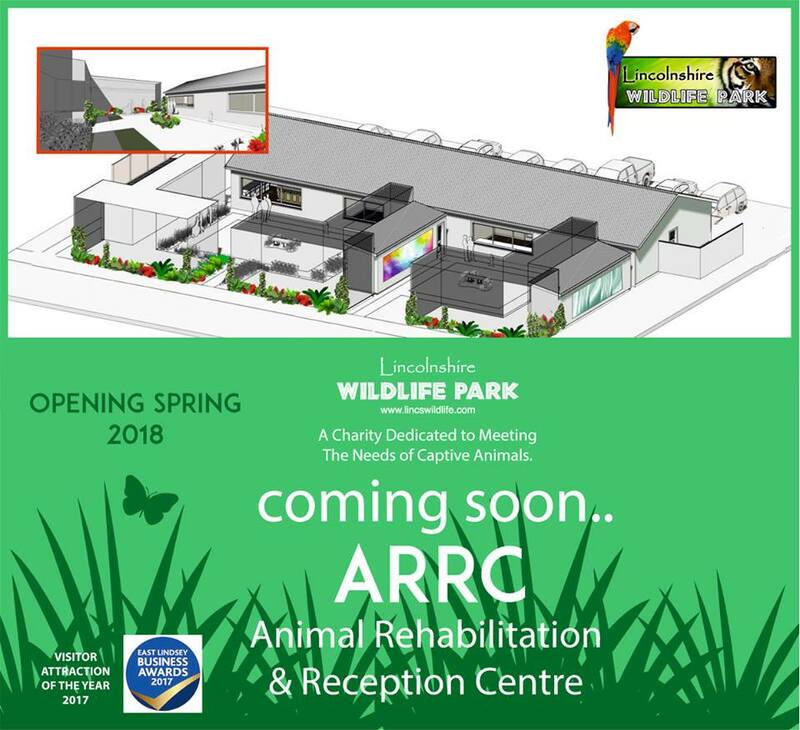 This will allow us to monitor our animals and birds efficiently, as well as providing crucial education and research about endangered species within our sanctuary. The amazing new centre will also enable us to invite professors and students alike, to study these beautiful creatures, in order to learn more about them and their behaviours. 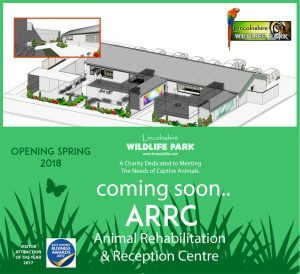 It is a very exciting new venture for parrot lovers and those wishing to bring their loved pets to us for re-homing… safe in the knowledge that we are providing the best and most up-to-date facilities possible. As many of you may already know, we have a beautiful Puma at the park named Nigel. He came to us with an irreversible eye condition, which could eventually render him completely blind. We knew this from the beginning and decided to offer him a sanctuary within our park, to live out the remainder of his life. 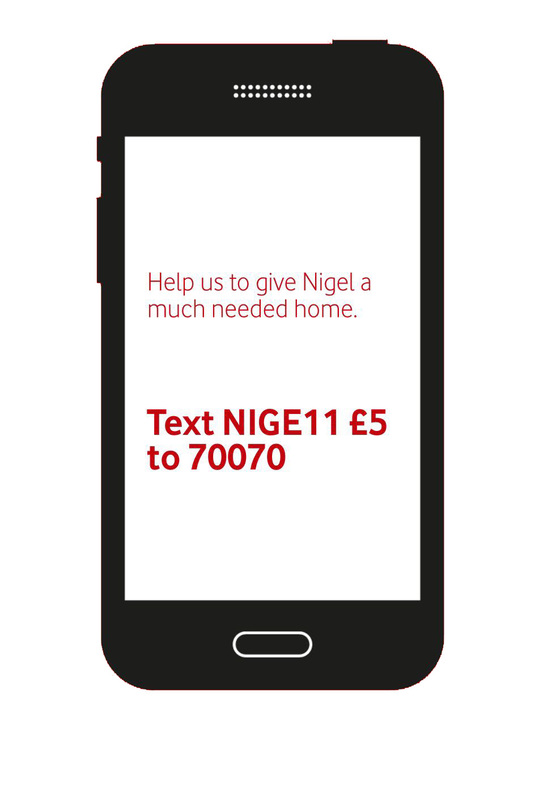 It was only recently, during a routine check up, that we realised his condition had worsened quicker than we thought. Many other park’s may have turned to euthanasia at this point, but that was never going to be an option for us. Therefore Steve, the CEO, began designing his enclosure to adapt to his very individual needs. 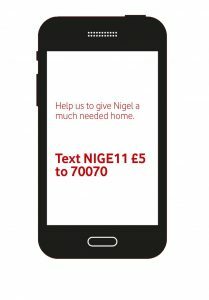 We have been fund raising for Nigel, so that we can start this as soon as possible, as it is of the utmost importance that it is completed before his sight goes completely. 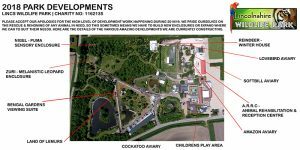 Plans have been developed to be able to update and expand our existing play area for 2018/2019. This will allow a fun & safe environment for children to climb and explore while visiting the park. Situated next to our Rainforest Diner, this will be a perfect location for parents to relax and refresh while the children play happily. There will be picnic benches for adults to supervise their children and many different obstacles and frames for the children to explore. For the latest events taking place at the park, check out our ‘Events’ page and get involved!